Over at my other blog, Following the Thread, the newest round of The Literary Sewing Circle has begun! This is an online bookclub in which we read and discuss a book together, then make a project inspired by the book. While sewing is the main focus of this project, anyone who sews, knits, crochets, embroiders or otherwise makes some kind of textile craft is welcome to join in. As long as you can say where your inspiration came from in your reading, the sky is the limit! 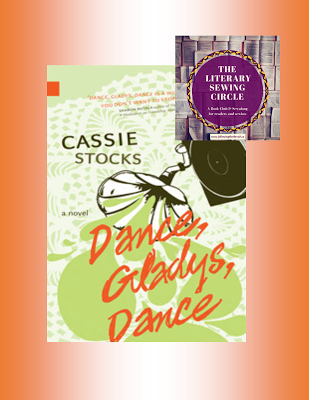 Our current book is Cassie Stocks' Dance, Gladys, Dance. This book is on the longlist for Canada Reads right now, and has been featured right here on this blog before. If you want to join in, just comment on the Literary Sewing Circle blog post, and you can read and sew along at your own pace. And you can also count this title toward your Canadian Book Challenge, if you are participating in that reading challenge as well!